Enjoy bonfire night at the Sports Ground again this year! 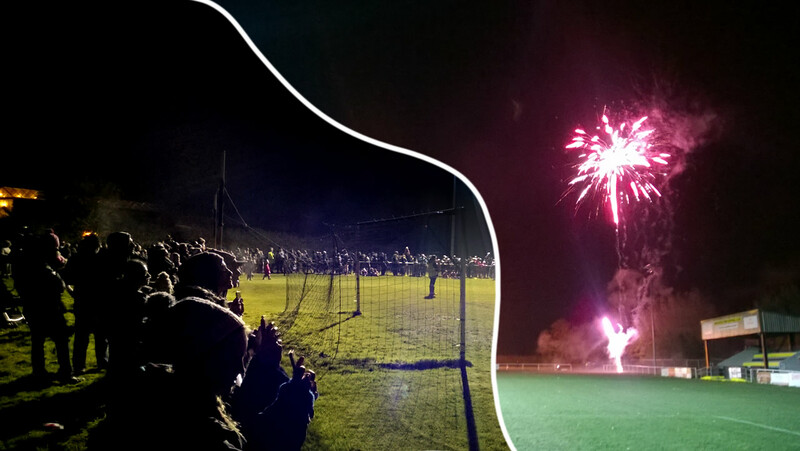 After a successful debut fireworks display at the Wincanton Sports Ground last year, Wincanton Football Club is gearing up for a repeat this year on Saturday 4th November. The Sports Ground proved to be an ideal venue, able to accommodate a large crowd, but at a safe distance from both the bonfire and fireworks. The grounds will open to the public from 6pm. The bonfire will be lit at 7pm, and the fireworks display will be coordinated during the evening as a backdrop. There will be a rolling BBQ, and a bar in the pavilion for adults. As in 2016, members of the various clubs are donating fireworks towards the display, but everyone is invited to bring donations of fireworks to add to the supply. The more fireworks donated, the bigger and better the display will be. Last year’s display was a great start. With more donations, this year’s event can be even bigger and better. Why not enter the competition to design your own Guy? You may even win the Guy Fawkes Cup. Entries for the competition will be judged at 6:30pm. £5 per entry. The organisers are in the process of informing all the neighbouring residences and organisations about the event. Spread the word to help make this year’s event an even bigger success. If you need further information about the event contact Sean Chapman of Wincanton Town Football Club on 07586 349372.